AMSTERDAM--(뉴스와이어) 2019년 01월 10일 -- Gemalto (Euronext NL0000400653 GTO), the world leader in digital security, is helping simplify and secure IoT connectivity for AT&T customers by integrating its embedded SIM (eSIM) inside the Cinterion® LTE-M IoT module. 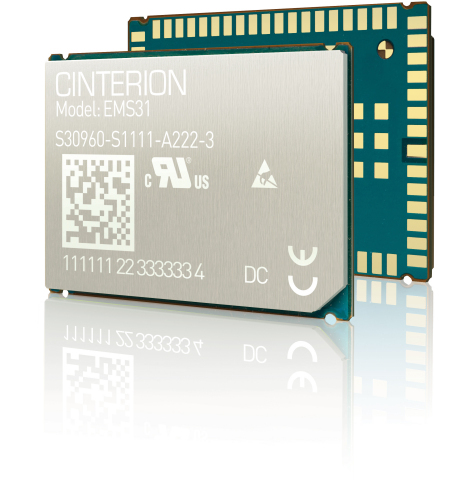 With an AT&T eSIM integrated in the Cinterion EMS31 LTE-M module, customers will take advantage of the power and bandwidth efficiency of Low Power Wide Area Networks (LPWAN) without having to buy and install SIM cards. The tiny eSIM is more than 90% smaller than traditional SIM cards making it ideal for size-constrained devices such as wearables and trackers that often need extra space for a larger battery. With fewer components to integrate, the all in one eSIM IoT module saves development effort and speeds time to market. In addition, achieving scalability is easier and the Total Bill of Materials (BOM) is reduced. Integrating the SIM deeply into the module during manufacturing helps durability making it more resistant to heat and vibration while improving tamper resistance. It also strengthens security by enabling easy updates that protect devices from evolving cyber security threats. Optional embedded Secure Element (eSE) functionality can be added, providing an additional layer of security to store data in a highly secure vault and only share with authorized applications and people. More information is available on the dedicated Cinterion EMS31 web page.